Look what our clients built! We’ve been fortunate to have incredibly creative clients such as Instagram sensations The Jungalow, SFGirlbytheBay, and many more. 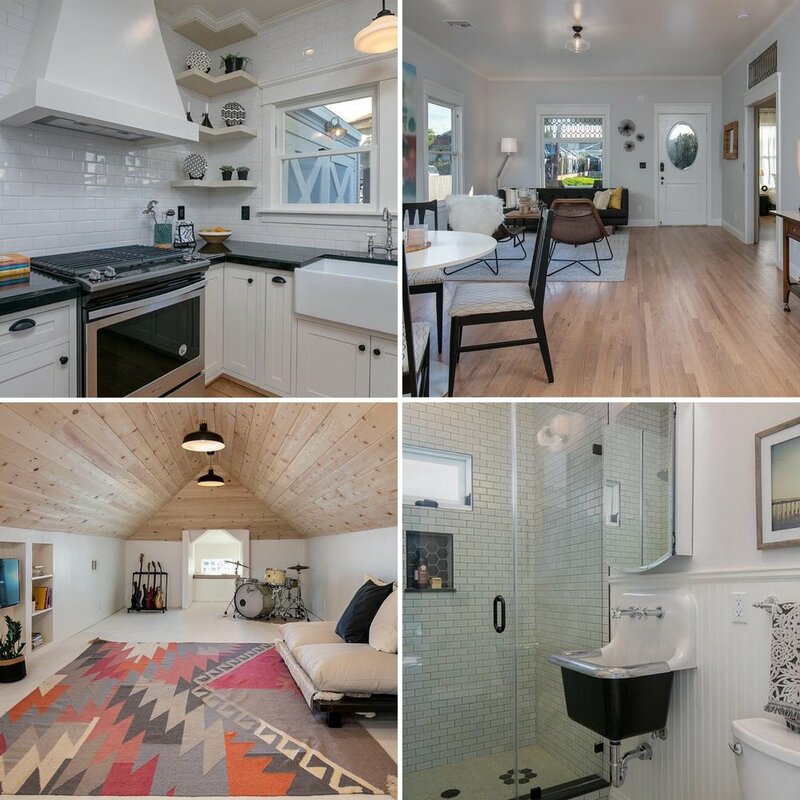 Eagle Rock’s star realtors Chris Vargas & Keely Myers recently finished their renovation of this craftsman located in historic Lincoln Heights. Reborn might be an understatement! Are you Looking to release your inner-creative and renovate your current home? Have you identified a new property that needs TLC? Do you have limited funds to take on another investment and need help structuring the financing? Contact Thomas and Micah with any questions or scenarios. Over the last 6 years we have been fortunate to buy & invest in over 20 properties ranging from single family, 2-4 units, and even 7+ unit apartment buildings and we love sharing our firsthand experience with you! Are you wondering what your house is worth and how much money you can tap from your property? Reply to this email or give us a call and our team can quickly assess your property value and provide the projected cash-out amount along with proposed mortgage payment. In honor of Fashion Week, we’re making sure everyone knows about the latest trend…mortgage rates as low as 3.625%! Let us keep you in fashion and message us if you or anyone you know needs to refinance or purchase a home at these fashionably sleek rates. In an effort to streamline our process further, we are excited to announce an update to our underwriting guidelines that will allow us to approve & fund loans without an appraisal inspection! The days of worrying about a low or inaccurate appraisal will soon be behind us. No more gambling with your purchase, sale, or refinance… we now take the guess work out. Another major benefit to waiving the appraisal inspection means our buyers can place offers without an appraisal contingency! Making our clients offers much stronger than other financed offers. Contact us now to find out more details on our streamlined approval & appraisal process. Owning an investment property in Los Angeles can be tricky and it is more important now than ever to know your rights as a landlord. Fortunately we have a few spots open for our private lunch & learn tomorrow afternoon at Alcove Bakery in Los Feliz. If you would like to join us, please respond to this email. Seating is limited. Whether you already own or hope to buy an investment property, this informative seminar will give you some valuable insight and prepare for what's ahead. Tired of your offers not getting accepted? Contact us today and we will put your purchase on the fast track!